CONTEXT: A solidly constructed global end-to-end supply chain requires two critical elements – confidence in the authenticity of the product delivered to a customer as well as effective monitoring of the goods-in-transit. However, currently operating supply chain suffer from a variety of limitations: substitution of original products with counterfeits, tampering with sensors, as well as increased product liability costs due to spoilage and waste. 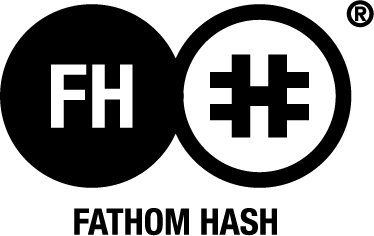 All products of RIDDLE&CODE use our FATHOM HASH middleware. The key purpose of the RIDDLE&CODE crypto-hardware is to create a unique, incorruptible identity of a connected object and allows it to transact with other connected objects on the blockchain mesh. This is achieved by creating a key pair, with the private key stored on the device and the public key stored on the blockchain. The key pair is then used to enable the connected object to autonomously communicate and transact with others on the blockchain. NFC TAG: Tamper-proof NFC tag is attached to the product packaged by the end-supplier and is provisioned with the metadata of the package’s content. At delivery, the NFC tag is scanned by the end-recipient with the ‘Twin of Things’ app on the mobile device for an immediate readout confirming authenticity of the product. UFH TAG: UFH tags are attached to the packages or pallets transported. UHF tag has a higher communication range, which allows for the data recorded on it to be read out in bulk by warehousing and logistics providers with the appropriate hardware. The readouts are recorded on the blockchain and are accessible by all nodes for real-time monitoring. ESCROW: Our Bitcoin-based escrow account allows for improved trust for transacting between parties along the supply chain. The funds intended for compensation are transferred onto blockchain escrow account and are released if and when the supplier satisfies the pre-set conditions. As the data related to the package-in-transit is recorded on blockchain, whether the necessary conditions are being met is immediately evident.